Kemenuh Butterfly Park tours fee will be an expenses of the rates vehicle hire one day sightseeing trip activity that quoted per van, to exploring the most popular insect captivity tourist attractions and Tegenungan hidden waterfall, also to visit other famous tourist object through a renowned whole-day tour program Kemenuh-Bali. 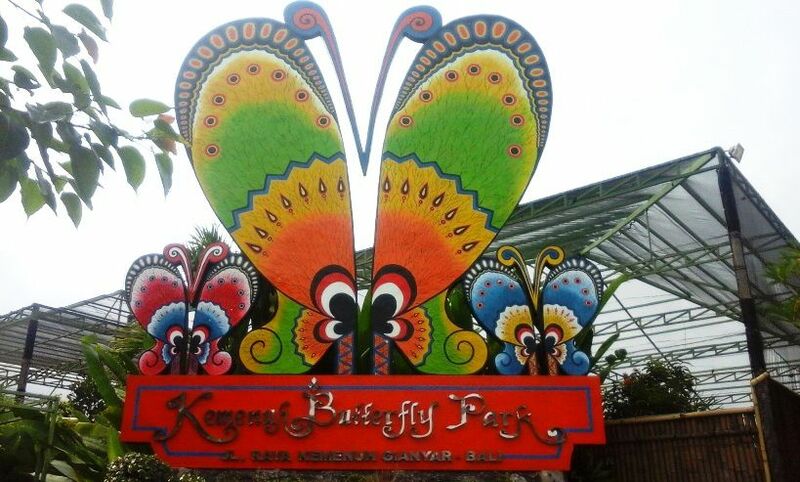 related of trip rates to do a popular full-day tour program to visit a famous "Kemenuh Butterfly Park tourist object". so then laterly will be able to make your holiday trip program to be a memorable one, more satisfied, right on target and based on your need !. 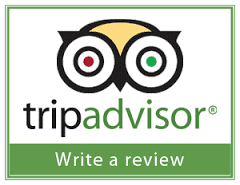 also with catchy trip itinerary to you, ie: "[Kemenuh tour price] Best rates Butterfly park Bali full-day tours package". also regarding the activity of "Kemenuh Butterfly Park sightseeing trip program", generally will take around 7 to 8 hours or maximum 9 to 10 hours and will start with pick up time at 08:30 AM from your hotel stay, then finished at 06:00 PM. Nusa Dua, Jimbaran, Sanur, Kuta, Legian, Seminyak, Canggu, Kerobokan, Denpasar City, Ngurah Rai Airport, Benoa Harbor and Ubud. And the other thing, regarding about Kemenuh tours that we offer to you is a: "Private Tours", it means: in this travel trip you will not be joined with other guests, only you and your group who will go. Also supported with an experienced english speaking tour driver, and fully air-conditioning vehicle also completed with car licensed for tourist transport, so laterly will made your holiday trip becomes far more enjoyable. with maximum passenger capacity up to 6 people in one van, so definitely will be affordable for you, when doing a day tours on Bali island. Besides, you will feel far more comfortable during on your vacation time, when visiting all tourists places in this leisure trip. All Bali half-day tours or full-day trips that we presented to you, are the best travel plans collections, with top-ranked program that offer. BATUBULAN VILLAGE watch Barong and Keris Dance price entrance ticket IDR. 100.000 rates quoted per person. UBUD HOLY MONKEY FOREST visit local balinese primates (macacas) cost entry ticket IDR. 50.000 charges quoted per person. KEMENUH BUTTERFLY GARDEN tourist attraction with charges admittance ticket IDR. 100.000 per person. 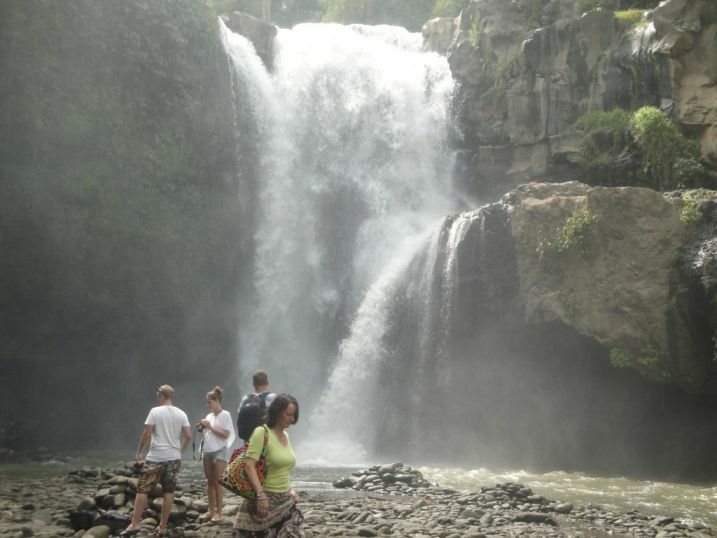 TEGENUNGAN VILLAGE visit Bali hidden waterfall view with ticket price of IDR. 15.000 price per person. CASH to pay entry fee ticket, or other personal expenses. Because not all tourist objects providing ATM machine. Can't wait to bring your whole family on a Kemenuh Bali butterfly park and Tegenungan hidden waterfall trip ?. For detailed Information and Booking Kemenuh Bali butterfly park and Tegenungan waterfall Tour please "CONTACT US" Sorga Bali Tours (Best Bali Holiday Packages).